This industrial scale features a simple user interface, to minimize errors and increase throughput. The scale is also very flexible, offering a choice of AC or battery power and a range of capacities. The design of the 3600SC bench scale makes it tough enough for industrial environments. The Quartzell™ weight sensor is intrinsically strong and highly accurate and the robust die cast housing adds strength and longevity to the scale. 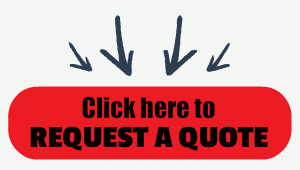 The backlit, LCD display is easy to read and ideal for use in low light conditions. The 3600SC bench scale has a stainless steel weight platter and is also available with a stainless steel ball top shroud for integration into conveyors. It can also link to printers and data collection systems via a serial RS232 output. The 3600SC bench scale can also be used for legal for trade applications around the world, making it ideal for situations where product is sold by weight. DuraBridge™ construction – On heavy capacity 18 x 18-inch decks. Deck deflection is less than 1/2- inch. Minimizes off -center loading error. Selectable scale configuration – Choose scale resolution, display update rate and filtering level from the front panel. Front-mounted seven-digit liquid crystal display. 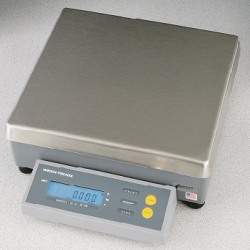 3600 Series QDT Bench Scales are constructed of either a die cast aluminum body and stainless steel shroud (3632B models) or a mild steel body and stainless steel shroud (3634B models.) They include a front-mounted, seven digit, liquid crystal display with blue electro-luminescent back light an RS-232 interface. Six-foot power cord included.